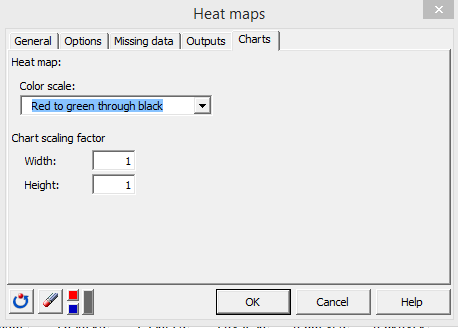 This tutorial will show you how to draw and interpret a heat map on OMICS data in Excel using the XLSTAT statistical software. 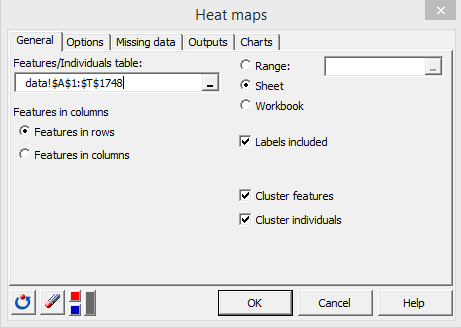 The aim of this tutorial is to use the heat map exploratory data analysis tool to analyze feature and sample clusterings simultaneously in a synthetic way. We will furthermore be able to check if clusters of similar features (proteins in our case) correspond to clusters of similar samples. If you prefer a 3 minute long video version of this tutorial, just click here. 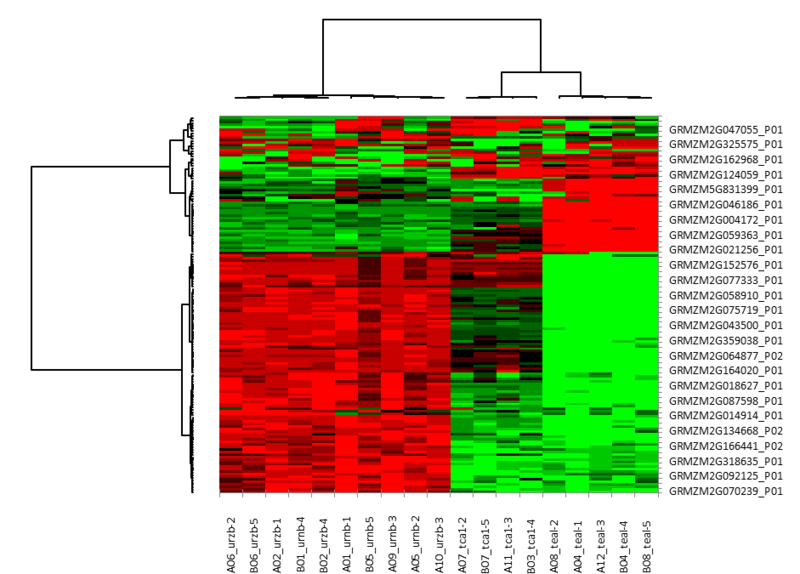 To run a heat map analysis in XLSTAT, click on OMICs / Heat maps. In the General tab, select the data matrix in the Features/individuals table field. Here, the individuals are represented by our samples. 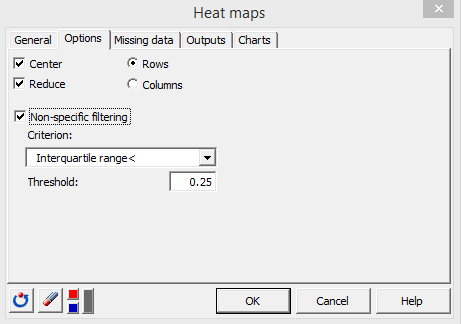 You do not need to change the features in rows option, as proteins are stored in rows in the dataset.